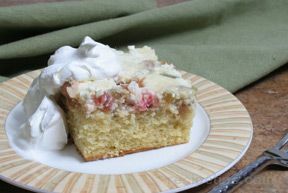 If you love strawberry shortcake, you'll love a new take with this recipe. You can make it with raspberries or strawberries, pick your favorite. 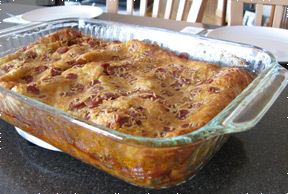 Spread raspberries into a 9x13 inch baking pan; mash with a fork. Sprinkle with the dry gelatin powder. Top with marshmallows. Bake for 40-45 minutes, until a toothpick inserted into the center comes out clean. Cool pan on a wire rack for 15 minutes. 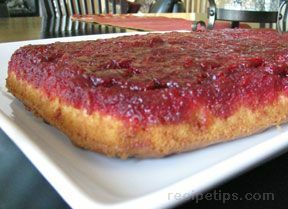 Run a knife around the pan to loosen the sides, and invert the cake out onto a serving platter.